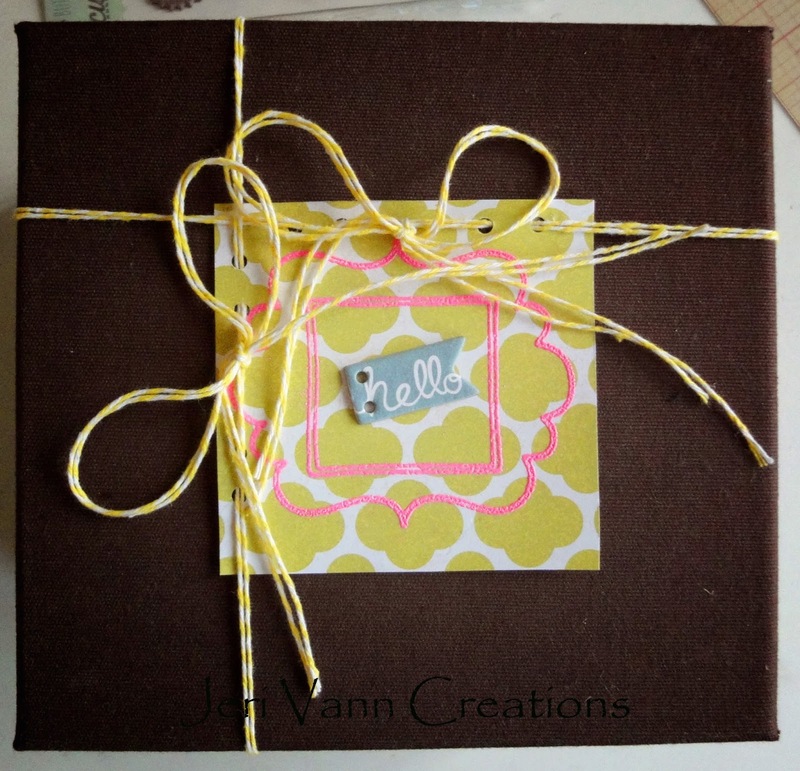 FotoBella: Making a Gift Tag in a Pinch is a Cinch!! My new Cut & Paste Adorbs I Want It All Bundle by My Minds Eye was love at first sight!! And it was just in time, because I needed to make a gift tag and ship a package off that day. I cut a square out of this adorable paper. Used some neon pink embossing powder with this cute stamp. Punched a couple holes and threaded some bakers twine through and around the gift. 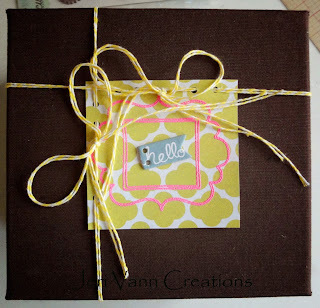 Finished it off with a cute 'Hello' chipboard.